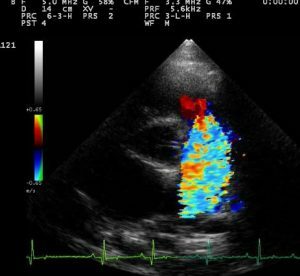 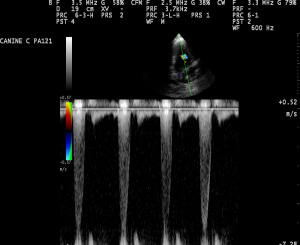 Colour flow Doppler image from a dog with a patent ductus arteriosus (PDA). 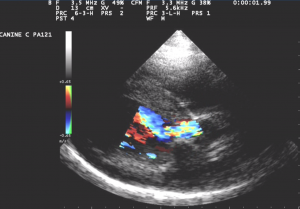 This dog was successfully treated by occluding the PDA with an Amplatz occlusion device. 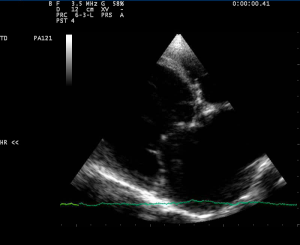 2D image from a dog with severe dilated cardiomyopathy and left atrial enlargement. 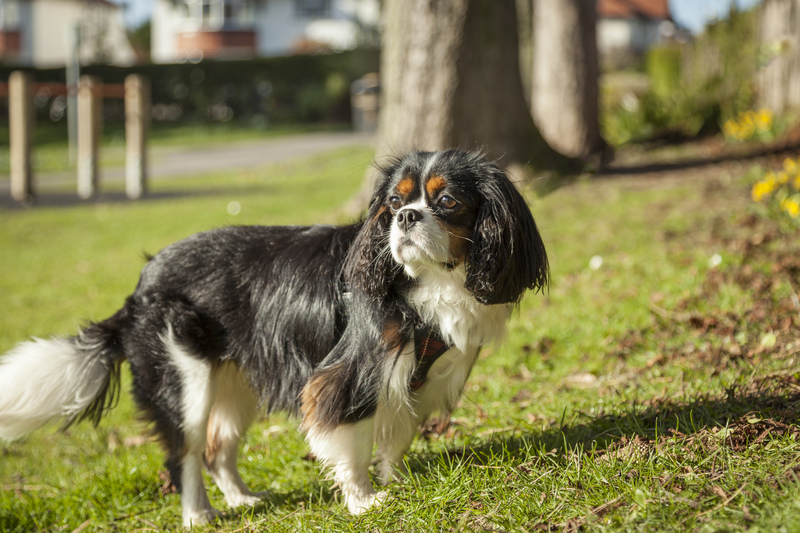 This dog is currently doing well on treatment.